The chances of getting into the best-known colleges seem to decrease every year, but we can help find a school that will be a great match for you – whether you’re a straight-A, B, or C student. Eric Endlich, Ph.D. founded TCC to improve access to college for everyone, including students with learning differences, ADHD, autism, or emotional challenges. Dr. Endlich is a licensed psychologist and professional writer as well as college admissions consultant, with an undergraduate degree in English from U.C. Berkeley and graduate degrees in psychology from NYU and BU. He has completed a certificate program in independent educational consulting from UCI. He is affiliated with the Higher Education Consultants Association (HECA), National Association for College Admissions Counseling (NACAC), New England Association for College Admissions Counseling, Association on Higher Education and Disability, College Autism Network, American Psychological Association (APA), Massachusetts Psychological Association, and Independent Educational Consultants Association (IECA), and is committed to IECA’s Standards of Excellence and Principles of Good Practice, HECA’s Standards and Ethics, NACAC’s Code of Ethics and Professional Practices, and APA’s Ethical Principles/Code of Conduct. Watch the new video introduction on our Services page! 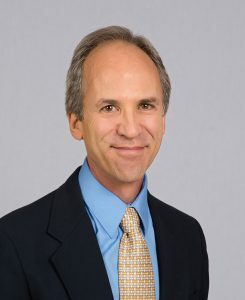 Dr. Endlich has taught at Tufts University, Suffolk University, Boston College and UMass/Boston, and has supervised doctoral students at William James College. He is a senior writer and wellness advisory board member for Personal Best publishing. As a psychologist, he has worked with many high school students to manage stress, anxiety, depression, ADHD, and autism. He serves on the clinical advisory board at the Asperger/Autism Network (AANE), and has presented regularly at AANE conferences, as well as the Harvard Medical School Continuing Education autism conference, Southern Maine Autism Conference, and Massachusetts Psychological Association annual conference. He recently presented to parents at Learning Prep School, a school for students with complex learning profiles. He has been invited to speak at the 2019 ASPEN conference (NJ) and AHEAD conference (MA), and was interviewed on college admissions for the 2019 Online Parenting Summit. Dr. Endlich was recently interviewed for a news article on anxiety in college students. He was also interviewed on college admissions by Forbes, the Wall Streat Journal, WGBH radio (a Boston NPR affiliate) and The Hechinger Report (an educational news blog). Previous interviews include Boston Magazine, WebMD, MSNBC, U.S. News and World Report, the Chicago Tribune, Self, Shape, Health, Weight Watchers, the American Coaching Academy, Fitness Magazine, Pilates Style, and Arthritis Today.